2018 has officially come to a close. We saw low unemployment rates, significant job gains and steady growth overall. Review year-end statistics outlined in our Q4 2018 Job Report infographic below. 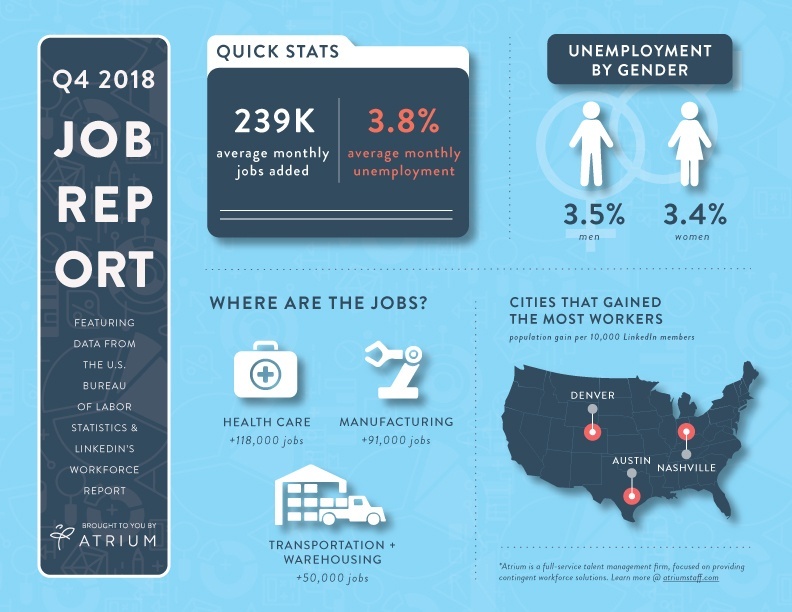 Combining stats from the Bureau of Labor Statistics’s monthly Employment Situation Report with data from LinkedIn’s Workforce Report, the infographic provides you with a quick summary of quarter four.